Specialist healthcare agency, Packer Forbes Communications (www.packerforbes.com) has teamed up with healthcare digital and innovation experts, emotive (www.thinkemotive.com), to enhance both agencies’ client offering in the creation and development of fully integrated and creatively delivered communications solutions. By 2015, it is estimated that 15 billion devices will be connected to the internet; that’s two devices for every person on the planet. We are living in an increasingly connected world with an ever-increasing amount of content at our fingertips. Being able to provide truly integrated communications solutions, which utilise traditional alongside digital and social media channels is critical in today’s environment to ensure the delivery of compelling, creative, targeted and far-reaching communication. Joella Webber, Managing Director, Packer Forbes said: “We have been working with emotive on a number of projects recently and we are delighted to announce a more formal collaboration, which enables us to quickly tap into emotive’s wide knowledge and experience of delivering digital and social media strategy and programmes within the healthcare arena. This means we can continue to deliver in-house insightful counsel and communications programmes in response to client challenges, with strengthened digital and social media communications outputs”. For over 12 years, emotive has been creating behaviour-changing, connected experiences using digital and integrated communication channels. Dedicated solely to healthcare and serving leading clients around the globe, emotive’s mission is to combine strategic insight, technology, high-level client service and excellent execution to deliver creative, emotionally engaging experiences with a clear sense of purpose. 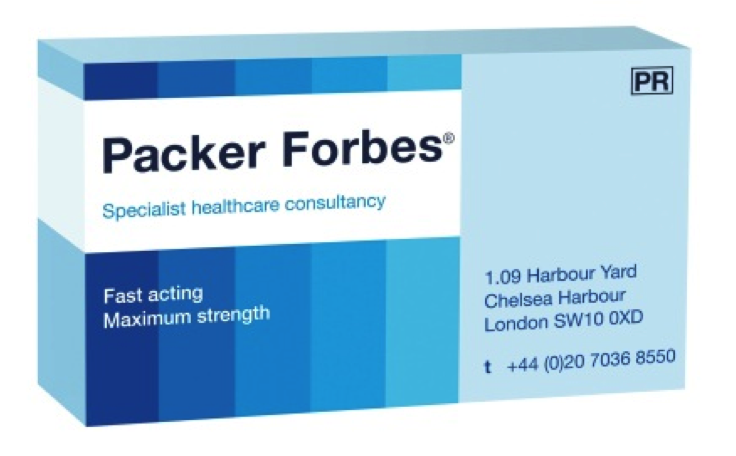 Packer Forbes has been delivering award-winning and creative medical communications programmes for over two decades. As the longest standing independent healthcare consultancy in the UK, we are proud of our ability to always stay at the cutting edge of communications through ever-evolving healthcare environments. The collaboration means both agencies are now in a stronger position than ever to gather expert opinion and provide clients with a service and communication programmes that work in all areas to drive change and generate positive outcomes.